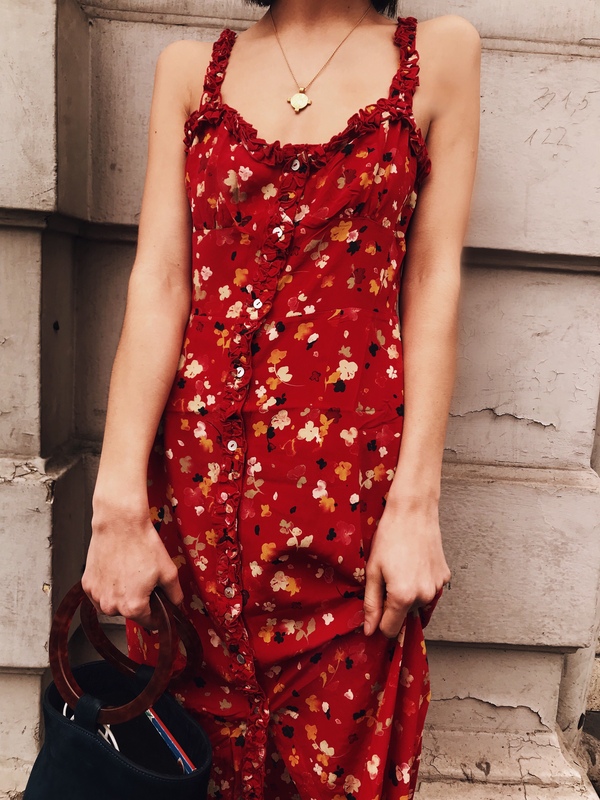 My favourite item to have in my wardrobe is a floral tea dress. Dresses are super easy to throw on, super versatile and super pretty. Getting ready with two babies is manic enough so a dress has become my go to piece now, you can look and feel fabulous in the space of ten minutes and you’re ready to start your day. However it’s so cold here at the moment, and it feels like it’s been winter for like six months now, which is way too long for me. And whenever it’s cold wearing a dress is sometimes the last option you would pick. 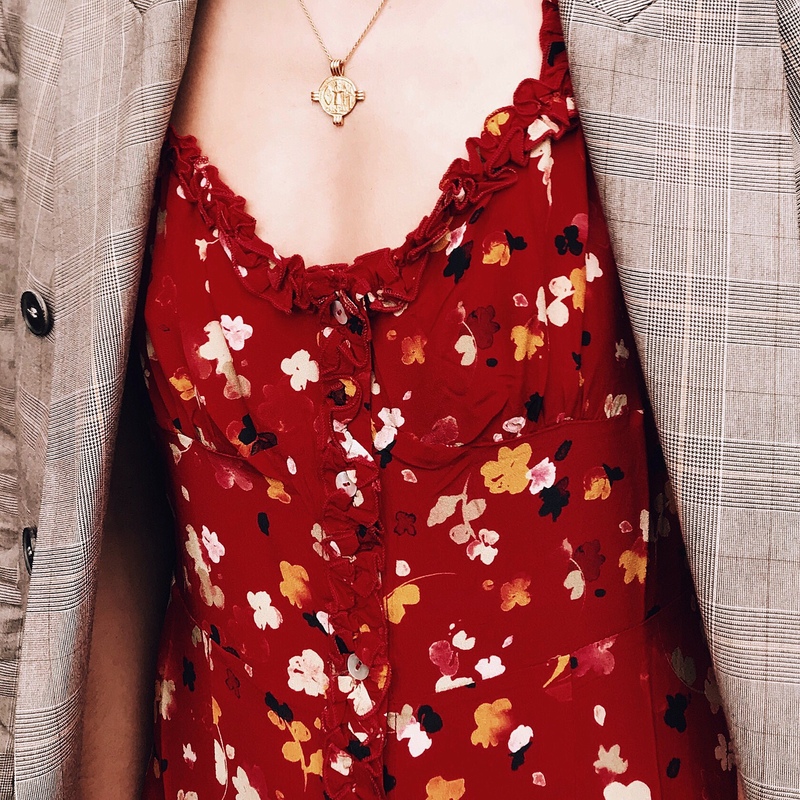 By now you would have stashed away all your summer dresses but the good news is that you can totally wear your summer dresses in the colder months with the right styling tips. I’m wearing my favourite chloe esque dress from H&M (here). 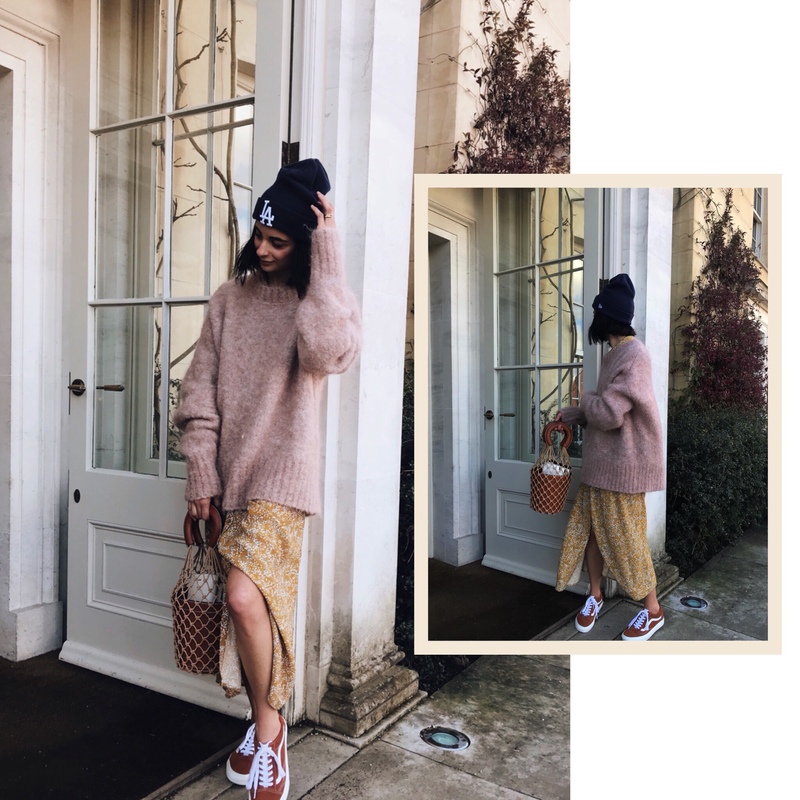 It’s the perfect mustard colour to wear this season and I’ve added layers here by teaming it with my super cosy pink jumper from Weekday Stores ( similar here and here) which helps to keep me warm. Investing in a cosy oversized knitwear is the perfect investment to go with anything from trousers to skirts. I’ve teamed this look with my new camel ginger vans (here) which gives the look a causal and edgy vibe. 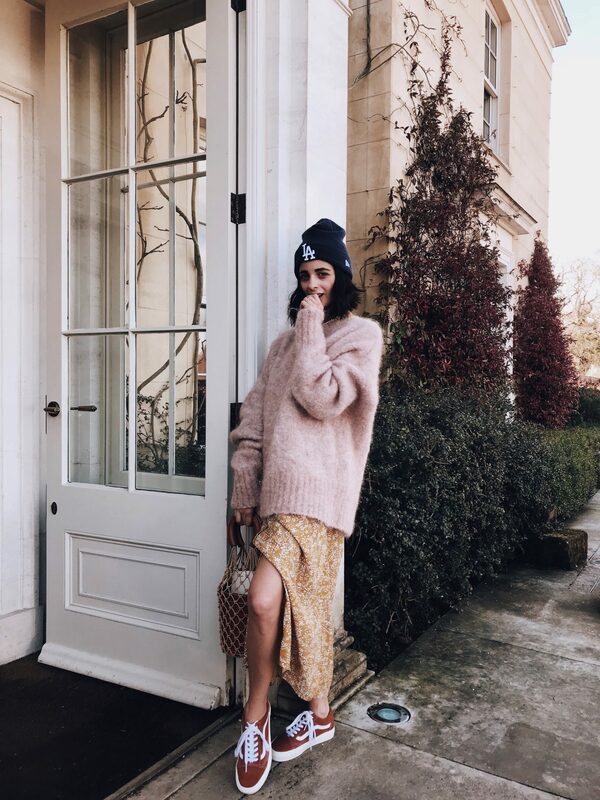 If your not into adding layers with an oversized knit try adding extra layers to your look by simply adding your dress over a pair of denim pants, or tights to your dress which adds different textures to your wardrobe. Investing in a blazer, coat or trench is the perfect accessory to add to your favourite sun dress. Not only will it keep you warm in the colder months but it will also help shield your body from that awful wind we’ve been experiencing lately! 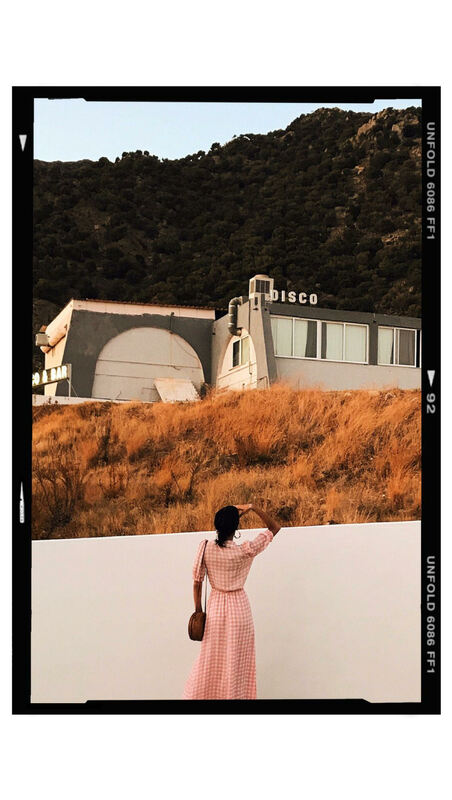 I’ve styled my Realisation Par dress (here) with my Mango plaid blazer (here) to do just exactly that! I then team my red vinyl trench (coming next week) to add even more layers and texture to this look. Hi, I love this reformation dress I just can’t decide between the midi or shirt because of my height. Do you mind me asking what size you got as I’m normally a size 10 I don’t know if it’s a size s or M? What size did you get the realisationpar dress in??? You look flawless as always in it! !